Far away in the East, some men were watching the sky. The people called them Wise Men. They studied the stars that twinkled in the sky at nighttime. They tried to learn all about those stars. 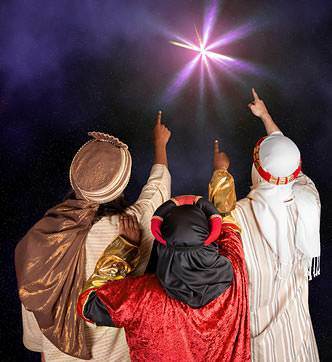 One night as the Wise Men were watching, they saw a new star. It was brighter and more beautiful than all the other stars. 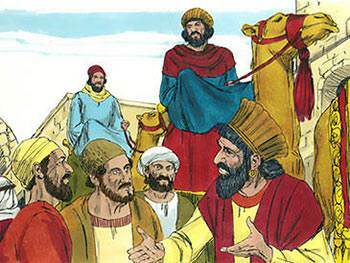 The men brought their camels.They placed on each camel its beautiful head trimming of scarlet fringe and silver bells to tinkle as it walked. 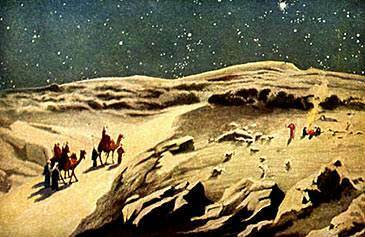 At night when the bright new star came into the sky, the camels knelt down while the men got into their places. “No, it is time for us to eat and rest, while the sun is hot on the desert sand.” There was not a house or tree to be seen anywhere, only shining white sand all around. Night after night they traveled across the desert sand, with never a sound except the camels’ feet in the sand and the tinkling of their silver bells. At last they saw tall buildings in the distance. “This is Jerusalem, where the king lives. Surely it must be here that the baby king is born,” said one of the men. 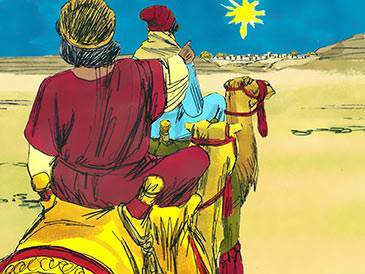 But the king in Jerusalem had not heard about the light in the sky which the shepherds saw. He had not heard about the angels’ song. 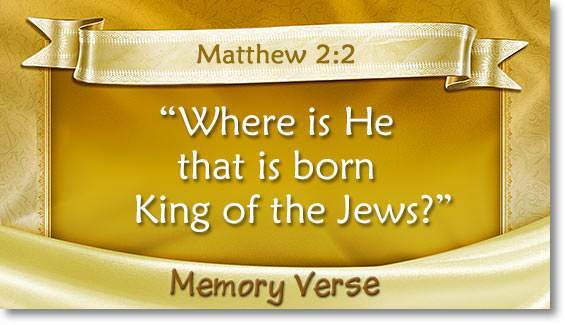 He did not know about the baby that was born in the stable and laid in a manger. He called to him some of the wisest men in his country. 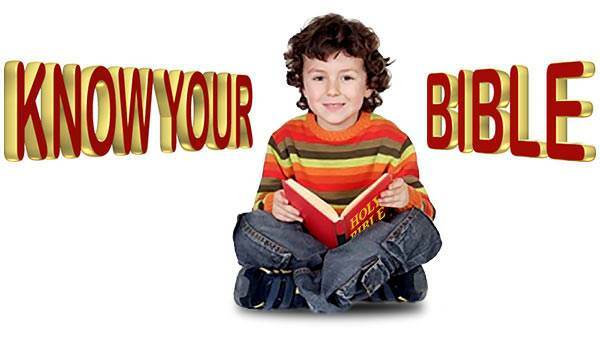 “Where is the child that is born to be King?” he asked. 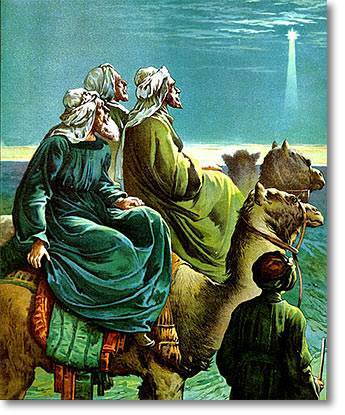 When the stars came out again, the men rode their camels toward Bethlehem and there was the same star shining above it. On and on they rode until the star stood still, right over where the young child was. The camels kneeled. 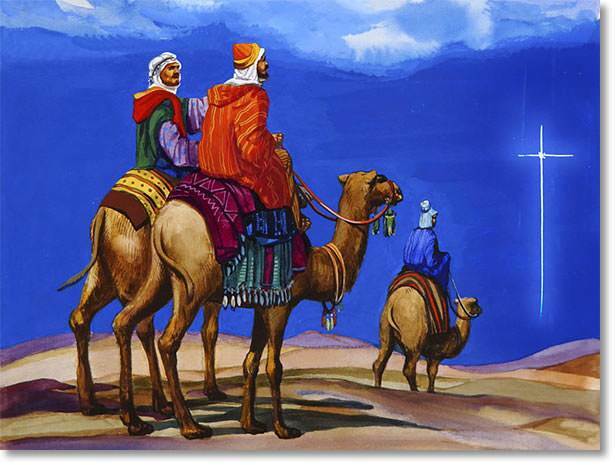 The Wise Men got off. They came into the house and saw the child Jesus with Mary, His mother. 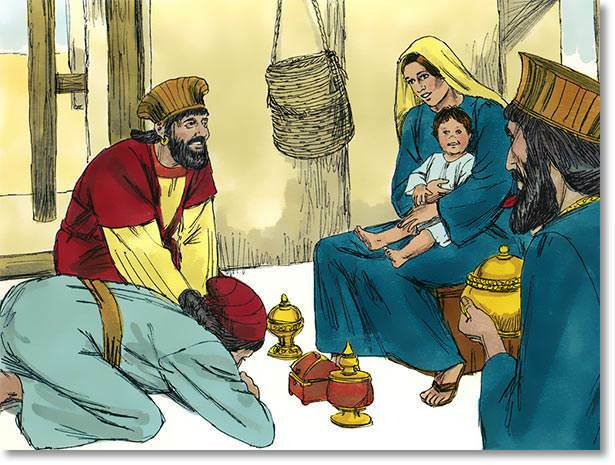 They kneeled down before the baby, bowed their faces to the ground, just as people did before a king. 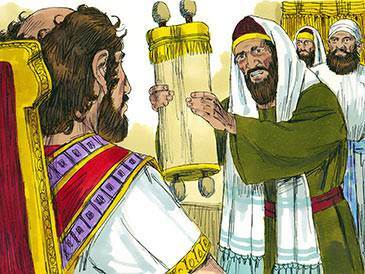 They brought their treasures, gifts of shining gold and sweet-smelling perfumes and laid them before Him. These were the kind of gifts that one brought to a king.